Since July 28, 2016. I chose Me-Kwa-Mooks because of the timing of the work parties. The support I get from the other stewards and the opportunity to transfer landscapes from land dominated by invasive plants to native habitats. I have too many fond memories to choose a single one. A volunteer stood victoriously upon a downed tree that was completely covered by Himalayan blackberry. I think our community can take pride in an environment of something so unique as native plants. I’m happy if I can be connected to the rest of the community in that respect. Is there a specific time when you looked at your restoration and felt like you were finally making progress? That moment came once we planted in my restoration area after months of invasive removal. 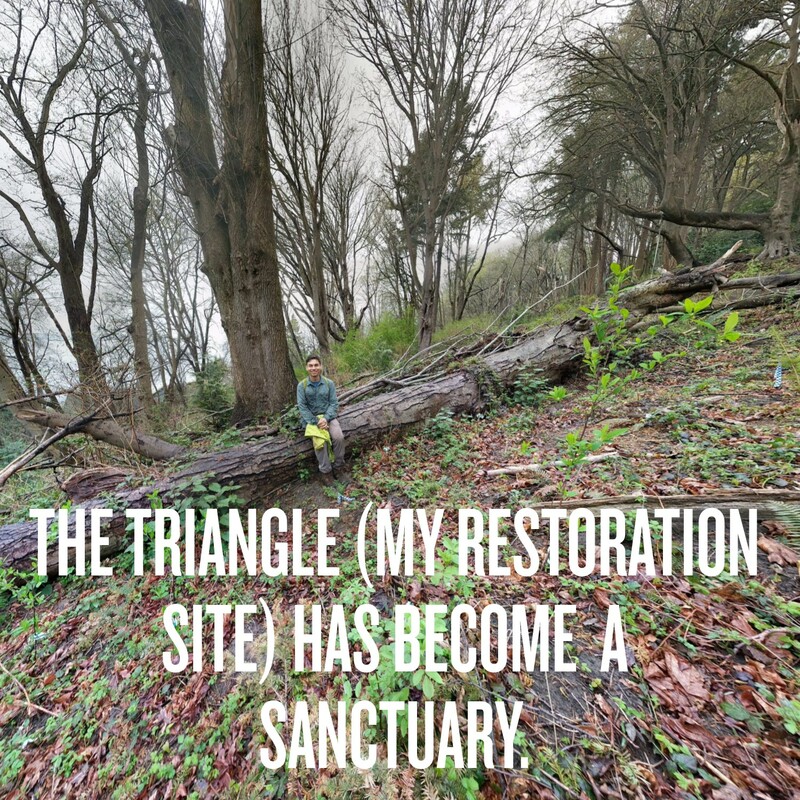 The Triangle (my restoration site) has become a sanctuary. What was once an overgrown piece of land ruled by Himalayan blackberry, ivy and holly, is now home to a diverse group of thriving plant species. Want to have your own chance to meet Peter and to hear more about his time as a Forest Steward with Green Seattle? Then you should check attend one of the upcoming volunteer work parties at Me-Kwa-Mooks Park and help Peter to continue to transform his West Seattle sanctuary!